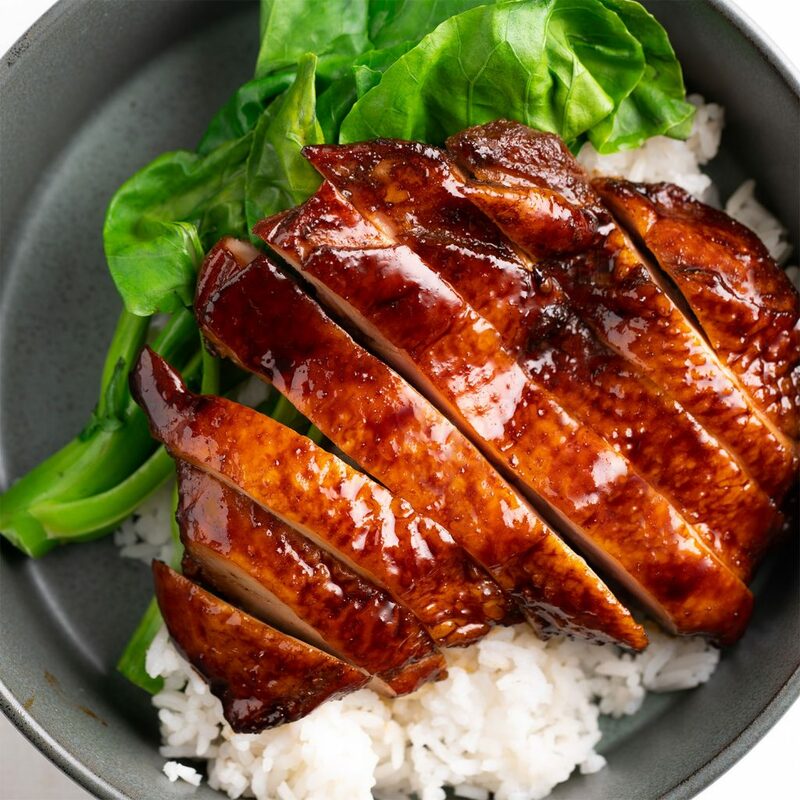 In a large bowl, combine the hoisin, honey, oyster sauce, dark soy sauce, garlic and Chinese five spice. Add the chicken pieces and mix until well coated. Marinate for at least 2 hours and up to overnight. Preheat oven to 180°C/356°F (fan-forced). Line a large baking tray or roasting dish with foil. Top with a baking rack. Place the chicken pieces onto the baking rack. Cook in the oven for 10 minutes. 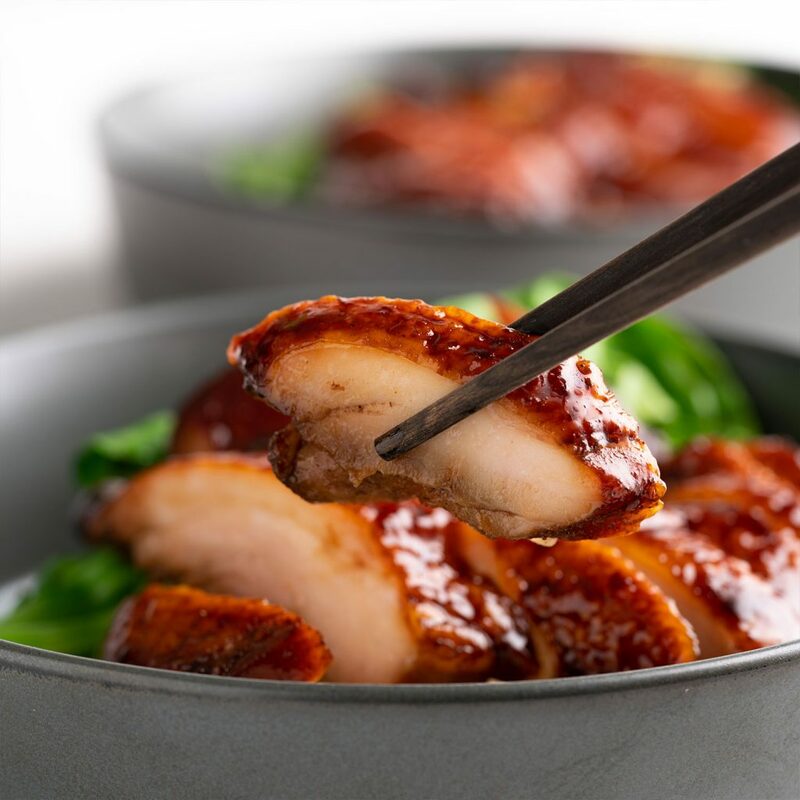 While the chicken is cooking, steam the Chinese broccoli in a bamboo steamer. Or alternatively, place the broccoli in a microwave safe bowl, add a ¼ cup water. Then cover with cling film and microwave on high for 2 minutes. Leave covered until ready to serve. Mix the basting sauce ingredients together in a small bowl. Remove the chicken from the oven and brush the top of the pieces with the basting sauce. Place back into the oven to cook for a further 5 minutes or until cooked through.